Hi, guys! 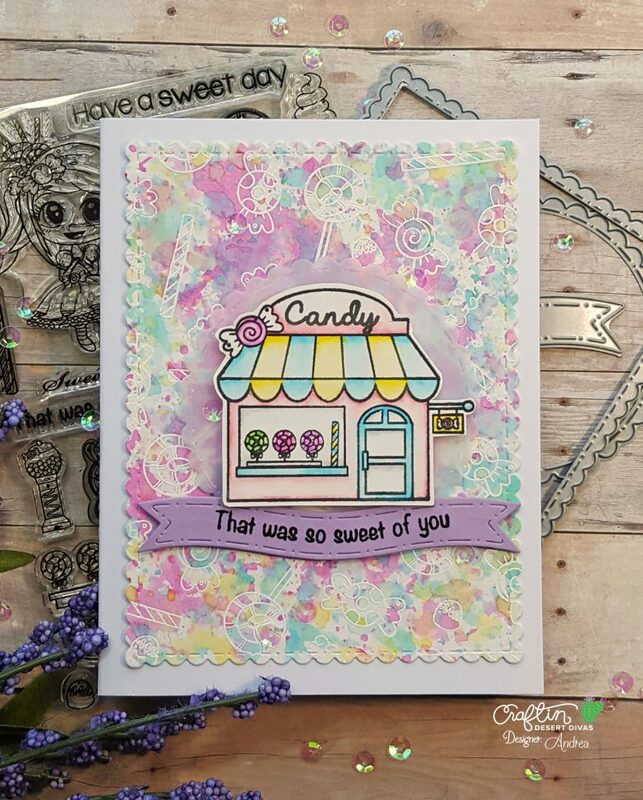 It's Andrea here with you today sharing a card featuring Sweet Shop, released earlier this year. I love the yummy images in this set! 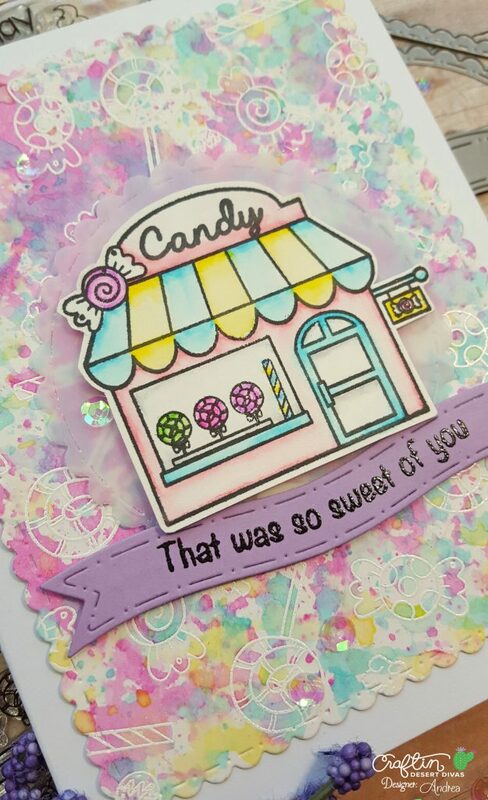 The adorable candy shop was stamped with Versafine onto Bristol Smooth paper, colored with Zig Clean Color Real Brush markers, and cut out. For the background, I arranged four of the smaller stamps from the set onto an acrylic block and stamped them repeatedly with Versamark onto a panel of Bristol paper. I filled in some gaps with two smaller images before heat-embossing the entire panel in white. I ink-smooshed the background with the following colors of distress ink: Picked Raspberry, Peacock Feathers, Cracked Pistachio and Squeezed Lemonade. 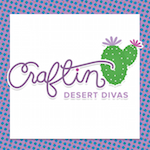 I die-cut my panel with the largest Craftin Desert Divas' Fancy Frames die and adhered it to a white card. Using the Stitched In Circle Dies, I die-cut a vellum circle. I popped that up with foam tape and popped up the candy shop on top. I die-cut a banner with the Flag Banner Dies and heat-embossed the sentiment. I adhered the middle of the banner to the vellum circle and popped up the ends with more foam tape. Some Shimmer sequins and Zig Wink of Stella add the perfect finishing touch. Thanks for spending time with me! 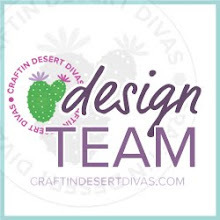 Don't forget that today is the last day to link up a project for the April Mood Board Challenge. For more info and to link up a project, head over to the Facebook gallery. Absolutely beautiful. I love love this card. The background is so well done. The colors are gorgeous. Especially love the ink smushed background!